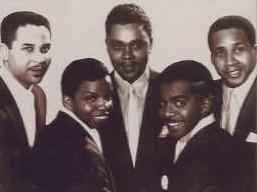 The Originals were a soul group signed to Motown Records from the mid-1960s to the mid-1970s. They came together as Freddie Gorman, Walter Gaines, C.P. Spencer, Hank Dixon and Joe Stubbs. Stubbs left after less than a year with the group, and Spencer left in 1973 and was replaced by Ty Hunter. Spencer rejoined the group in the late 1970s. They were used extensively as background singers at Motown, as well as having their own hits like "Baby, I'm For Real" and "The Bells".